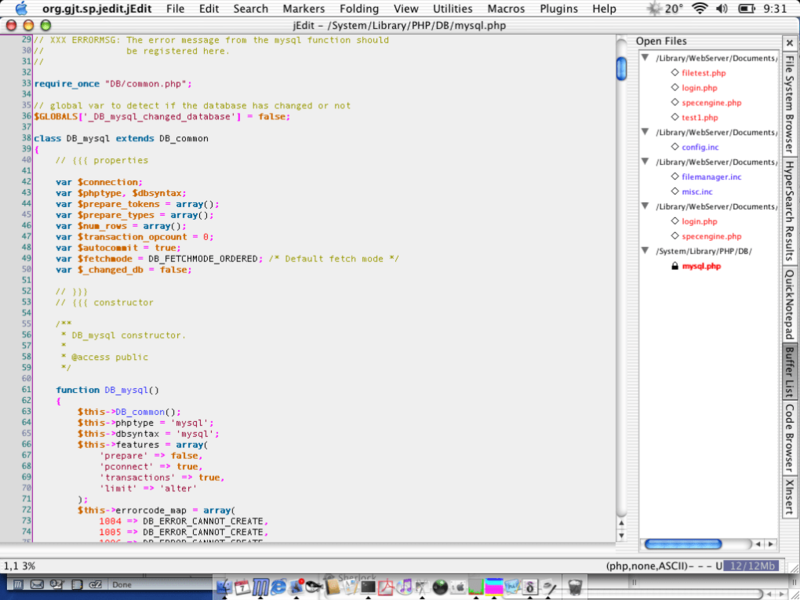 jEdit is an enormously popular Cocoa based text editor designed for programmers. 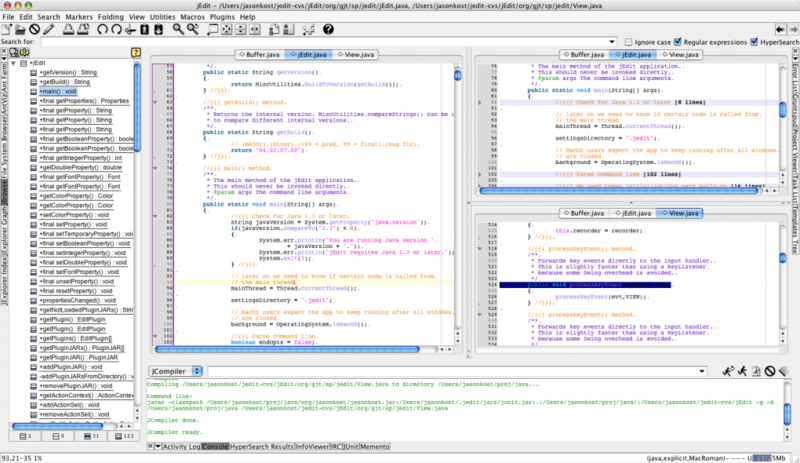 jEdit's strengths lie in it's simplicity, power and wide support of Unicode, Text Encoding Sniffer, Customizable Syntax Coloring, Fully Customizable Key Bindings, Object Embedding (image, Quicktime Movie and files) and much more. 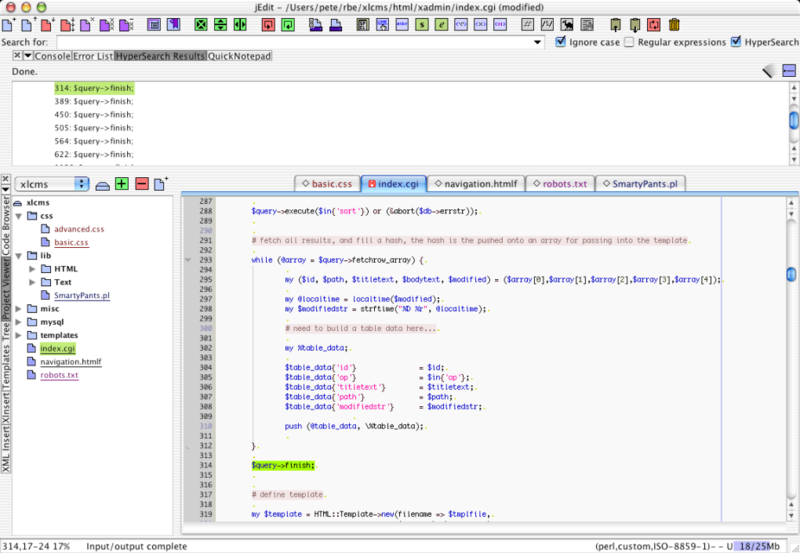 It's of particular appeal to those working with Java and XML due to a powerful search engine for regular expressions, syntax highlighting and auto-indentation. If jEdit doesn't provide everything that you need then there's a good chance that the large database of plugins will. You can download these via the Plugin Editor within jEdit or directly from the developer site and they include a huge number of free enhancements that make jEdit even better. Add these to the highly customizable shortcuts & macros and jEdit is one hell of a free development environment. Perhaps the only downsides are a slight sluggishness on startup and some users have reported problems with the internal spell checker. 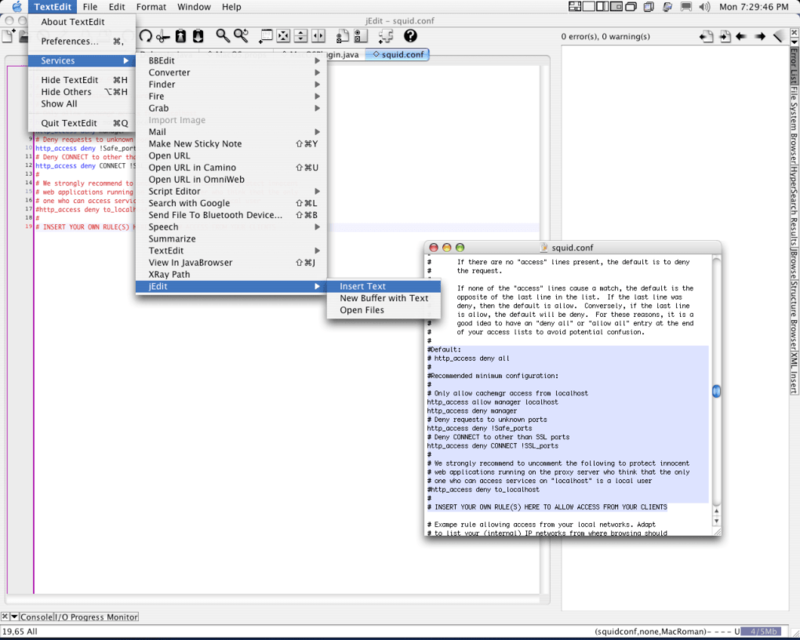 Jedit is one of the most popular text editors in Japan. It supports Unicode, Text Encoding Auto Sniffer, Customizable Syntax Coloring, Split Editing Window, Line Numbers Display, Fully Customizable Key Bindings, Book Marking Function, Object Embedding (image, Quicktime Movie and files), Sorting, AppleScript, complete English Help, saving find results, style search, checking encoding compatibility, external editor protocol and others.